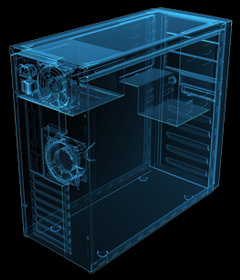 Using its core expertise, ATI provides “turn-key” product design and engineering support in taking your project from a basic concept to a fully marketable product. This product realization process is tailored to the application; whether it is medical, industrial, or commercial. We understand the nuances and requirements of each industry and have experience meeting regulatory standards such as ASTM, UL, and FDA. To minimize development time and expense, the theme of “design for manufacturability” is maintained throughout ATI’s product realization process. This ensures a smooth transition from preliminary design to manufactured article. We believe that form, function, lead time and cost are critical aspects of product development and we work with you to identify key requirements at the onset of the project. ATI works hand in hand with you to maintain protection for your intellectual property including support of your patent application activities. While many clients look to ATI for “turn-key” product design and engineering support, ATI recognizes that companies often maintain internally some of the resources necessary to complete a project. These companies may be seeking outside assistance to either expedite progress or provide expertise in areas not accessible within their ranks. For such situations, ATI is able to provide “a la carte” engineering support. We readily interface your company’s existing project teams to address specific needs.